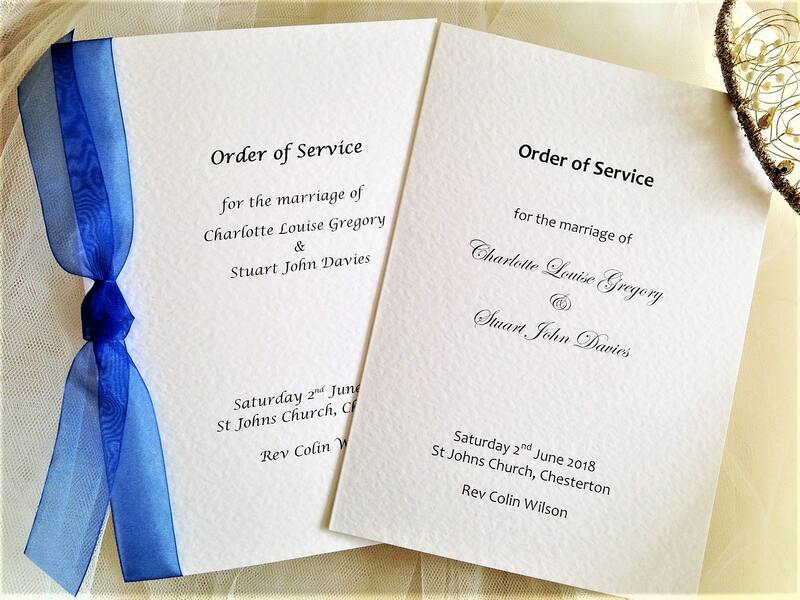 We supply order of service books for Catholic, Church of England and Civil Wedding Ceremonies. 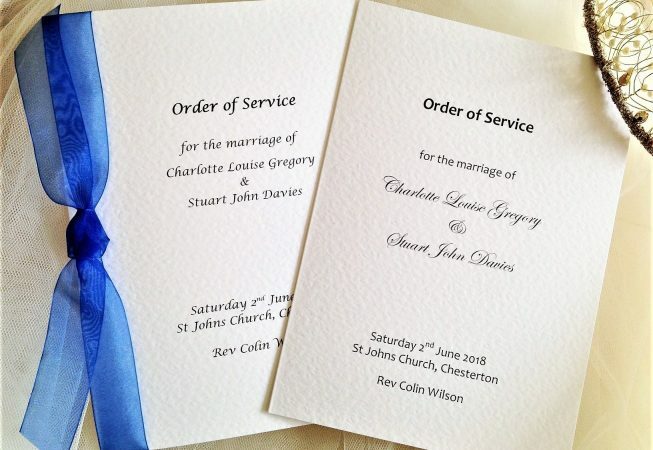 Books are printed with all personalised details regarding the wedding ceremony including hymns, readings and prayers for church weddings. Couples also like to include details of their wedding party, name of best man, bridesmaids, flower girls, ushers and bride and grooms parents etc. 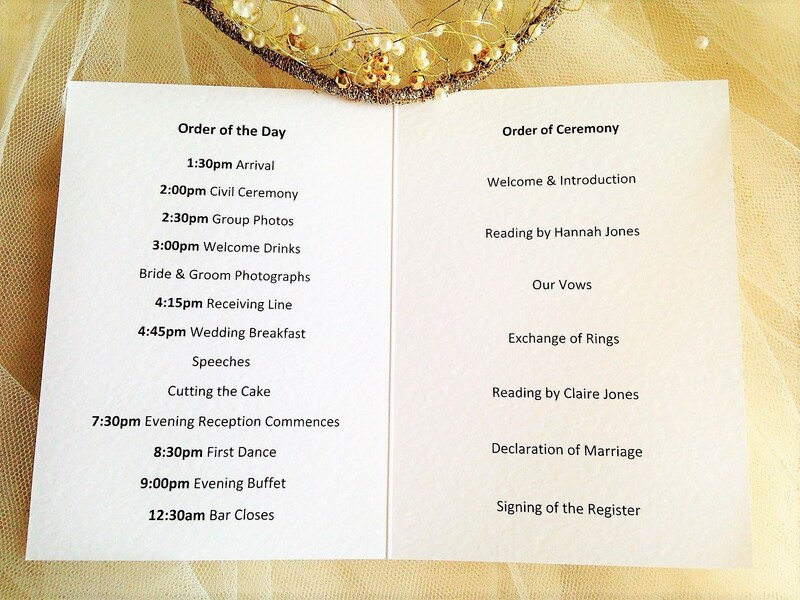 Bride and groom’s names, date of wedding and church or venue details are printed on the front cover. Alternatively we can include a favourite photograph of the bride and groom or the church or venue itself.